At Lynch Creek Farm, the dahlias are all planted — fields are full of thousands of tubers whose sprouts are due to break the soil soon. It's been a late season in the Pacific Northwest, but almost everywhere, it's finally time to be sure all your tubers are in the ground. 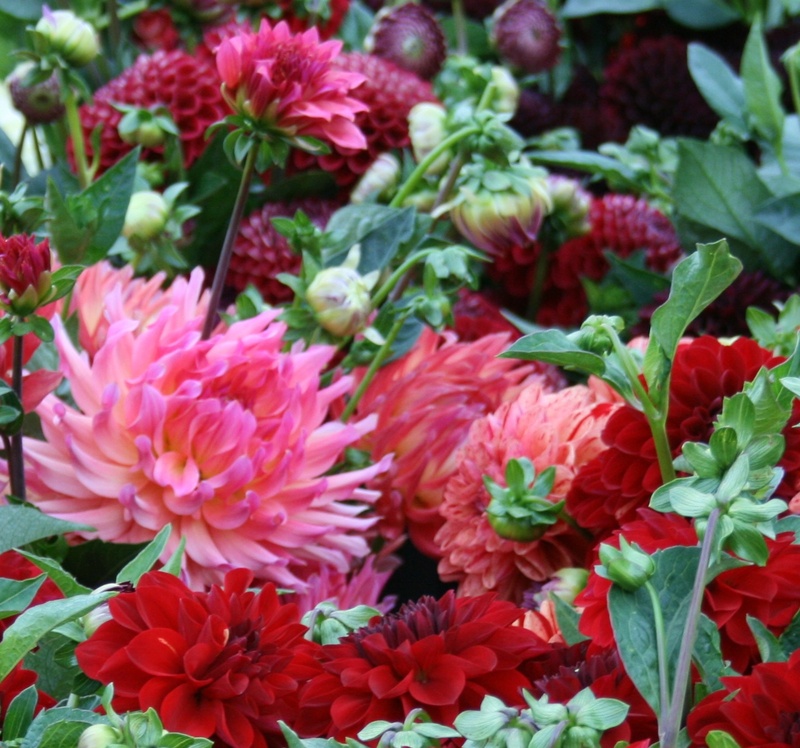 This weekend is the last for the Farm's tuber booth at the Olympia Farmers Market; the crew will be back at the market when Lynch Creek's first dahlia flowers are ready for picking and selling. Now that it's growing season across most of the country, it's time to keep an eye out for dahlia diseases. While dahlias are easy to grow, there are some diseases that can cause problems. And in a year whose weather had been problematical, weather-related stresses should be taken into account; stressed plants can be more susceptible to diseases than they would be in a year with fine weather. Among the problems that afflict dahlias in some areas are bacterial and viral diseases. Bacterial wilt, which causes stem drooping and wilting, can be caused by deep insect damage or spread from other infected plants. Infected plants develop a wet soft rot, usually in the lower part of the main stems. Fusarium and Verticulum wilts are caused by infected soil. Usually the basal leaves turn yellow; then the vascular system darkens. Sometimes only a part of the plant is affected initially. The wilt problems often occur in hot spells after a cool period. The only remedy is to destroy the affected plants and fumigate the soil with chloropicrin-methyl bromide under a tarp. It's best to grow your dahlias elsewhere for a season or two if there has been a bacterial disease problem in a planting area. Crown gall is another bacterial dahlia disease. 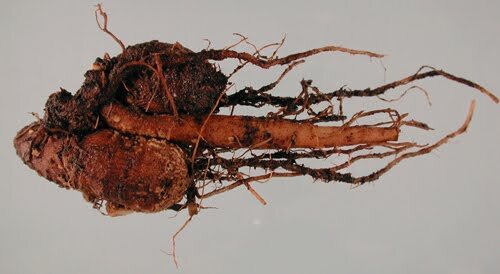 It's caused by a soil bacterium, Agrobacterium tumefaciens, which causes abnormal growths on the tubers or stems at the base of the plant. The plants are stunted with spindly shoots. 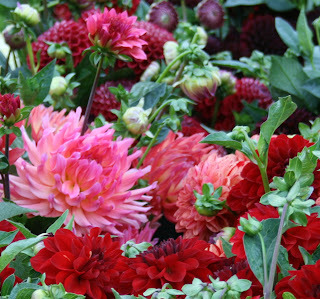 Plants, tuber and all, should be destroyed and dahlias should be rotated to another location for at least three years while soil is fumigated. Grow non-woody plants such as cereals or legumes in the space before returning dahlias to the area. Bacterial soft rot, caused by the bacteria Erwinia carotovora, claims tubers in storage. They darken and soften, and must be destroyed. If you suspect your dahlias have a bacterial disease, take a sample to your local county's Cooperative Extension office (associated with your state's land-grant university). If you get a diagnosis of bacterial wilt or gall, get tough and get rid of the infected plant or plants. It's better to sacrifice a few infected dahlias than to risk losing your entire dahlia population. Garden Bulletin: Lynch Creek Dahlias Are Planted!